til it could come no more. 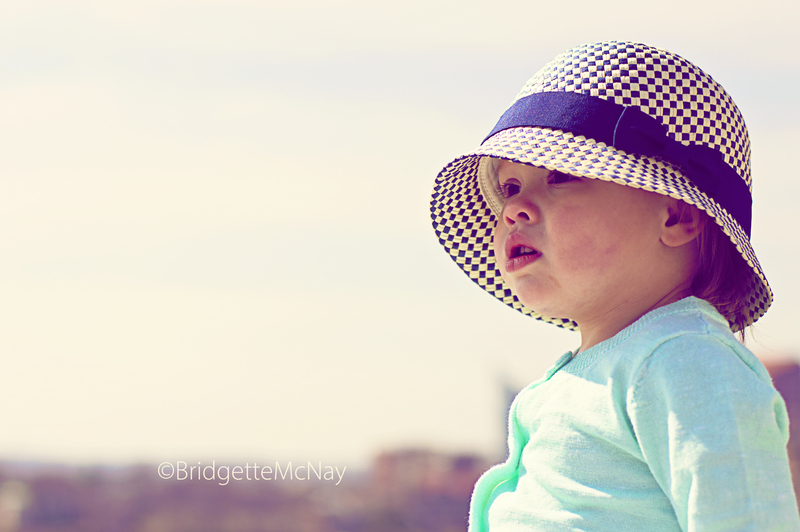 Madeleine and I sneaked away for a couple of hours this morning to enjoy some “Mommy and Me” time at the beach. I couldn’t help but think of this poem watching her play. She would run back and forth between me and the waves, collecting seashells to fill her shoes, her little pigtails bouncing the whole time. We really enjoyed our morning together. Her little romper is from an adorable pattern I found recently. I have been on the lookout for a cute romper and was excited to finally find the perfect pattern from Tadah! Patterns. They have quite a few cute and easy patterns available. 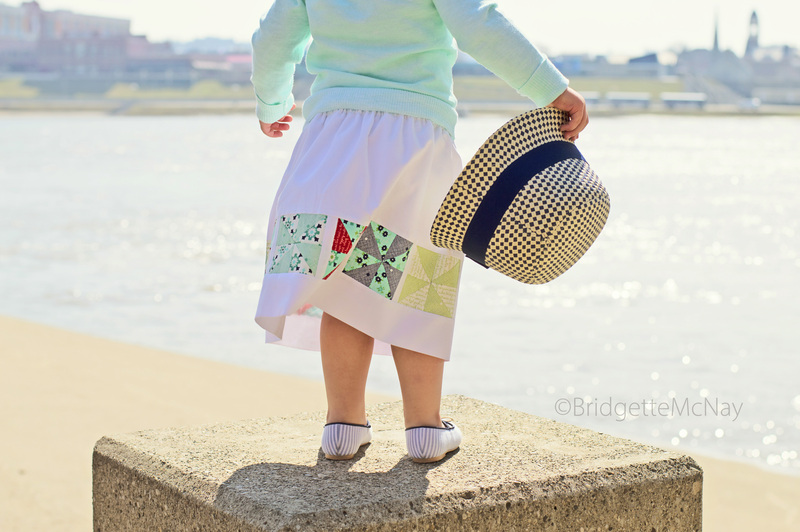 This romper is their Seaside Playsuit pattern. I just love that ruffled collar! October is here which marks the start of my favorite months of the year! That time of the year when you can add cinnamon and pumpkin to everything and it just makes it better. Mmmm…. I am still not sure what to expect as far as seasons go in Florida, but I know not to expect any of the wonderful fall weather that I am used to in Kentucky. I love Florida, but I sure am missing the trees changing colors, the leaves falling, the chilly breeze and that smell… that glorious smell of autumn. Thankfully, as I mentioned on Instagram, there are still Pumpkin Spice Lattes to be had, chai tea with lots of cinnamon, and caramel apples at our bakery. 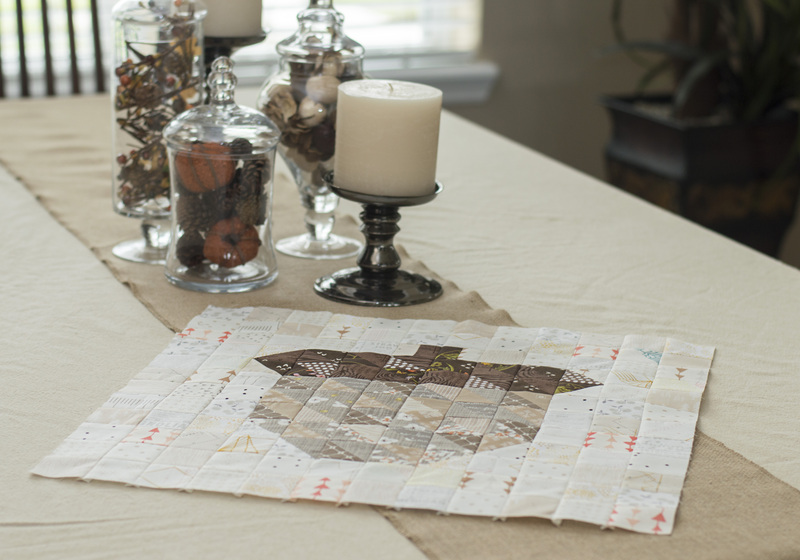 To top it all off, I was able to pull together a nice stack of fun fall fabrics… for something… for something fall”y”… something patchwork”y”…. but exactly what, I wasn’t sure. Then one day this past week, I was outside playing with the kids and it suddenly dawned on me, I hadn’t seen a single acorn recently. Another one of those signature fall things I guess I had to say goodbye to. 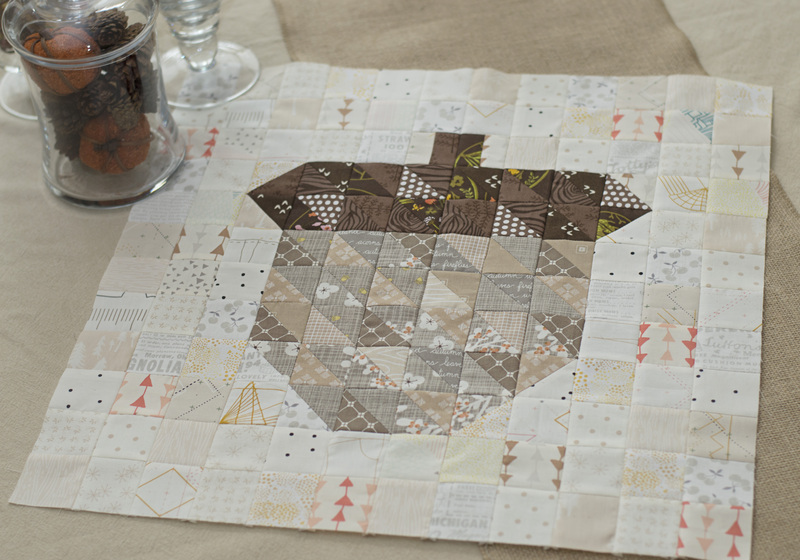 So, I decided if I wasn’t going to see real acorns, I could at least make one out of patchwork. I plan on turning my acorn patchwork into a pillow, and will share it as soon as I am finished with it. 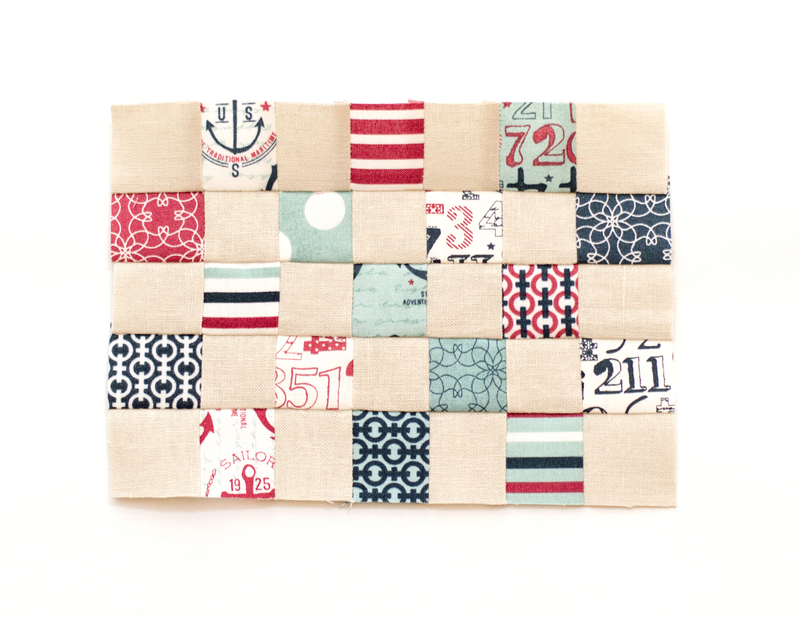 I think this block would also make a cute mini quilt or center table mat, etc. so I wrote up a quick pattern for anyone who may be interested in it. If you have any questions about the pattern, feel free to let me know! If you are on Instagram, share your picture with the hashtag #fhacornblock and/or tag me @bellbridgette. I would love to see what you make! When my husband and I first got married, I started a sewing school and gave lessons to children out of my home. I turned one of our rooms into a cute little space and I enjoyed having an area away from everything else to work in. As our own children came along I decided to stop giving lessons and eventually turned my sewing room into a toy room. This meant that all of my sewing stuff was then moved to the basement where I had it until we moved. I didn’t mind working in the basement, but I missed having a cheery place to organize and sew in. One of the most exciting things about our new house is that it has a bright office with a large window. 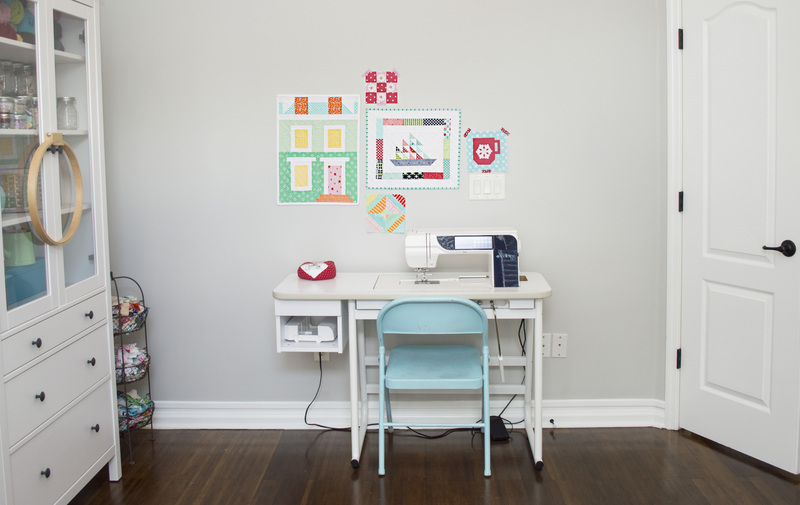 We decided this would be my sewing studio and I once again have a cheery area to sew in. I’ve shared a few pictures of my room on Instagram already, but I thought today I would share a more in-depth look at it, now that it is all complete! The cabinets are from Ikea and are the perfect storage units for just about everything. The glass doors keep dust (and children!) off of my fabrics and supplies, and there are plenty of shelving and drawers which makes it so easy to keep everything organized and tidy. Of course, I added a few hanging spool softies to add some color and fun. You can find the tutorial for them here. The wall below is the sad beginning of my mini quilt wall. I am hoping to add to it and fill it up in the near future. The sewing cart and table may be the handiest of all. It opens up to allow me to sew and cut at it and easily moves when I need it to. I was a little hesitant to buy it at first because of the quality of the brand, but I have to say I am absolutely in love with it. It is much sturdier than I expected and adds even more storage. You can buy it here. On the wall opposite, I have the children’s desks and pre-schooling set up. 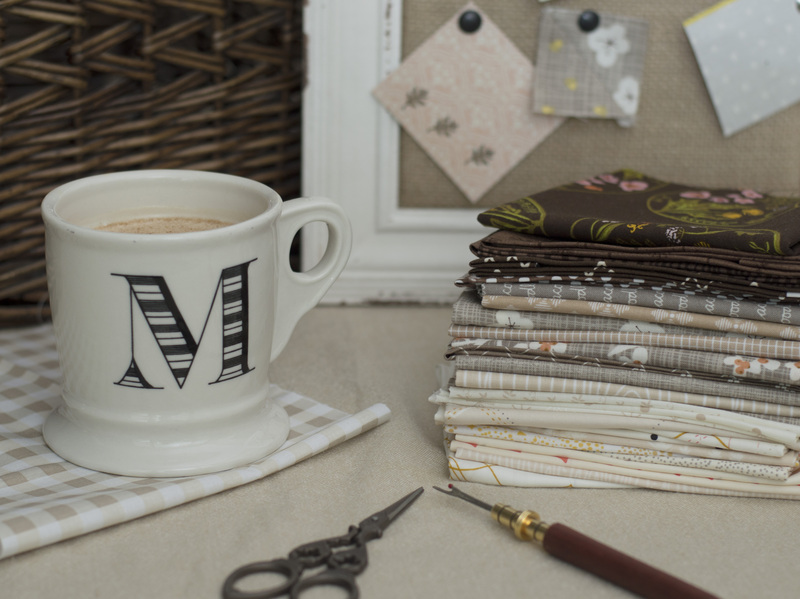 That allows me to keep them busy and do a little sewing at the same time, which is a win-win for all of us! I can’t believe how much time has passed since my last post! I promise I do have a good reason! There has been a whirlwind of change in our house over the past couple of weeks. My husband was offered a job in Jacksonville, Fl and we will be moving down a week from today. Yes! It’s all happened so fast it almost doesn’t feel real. The job offer came on a Thursday, by the following Tuesday our house hit the market, that evening we had our first showing and in a matter of 48 hours we had finalized a contract with them. Whew! Through all the craziness I have found time to (ignore the need to pack up of my sewing room and) sneak in a few projects here and there. One of the most addicting books out right now is Farm Girl Vintage by Lori Holt. 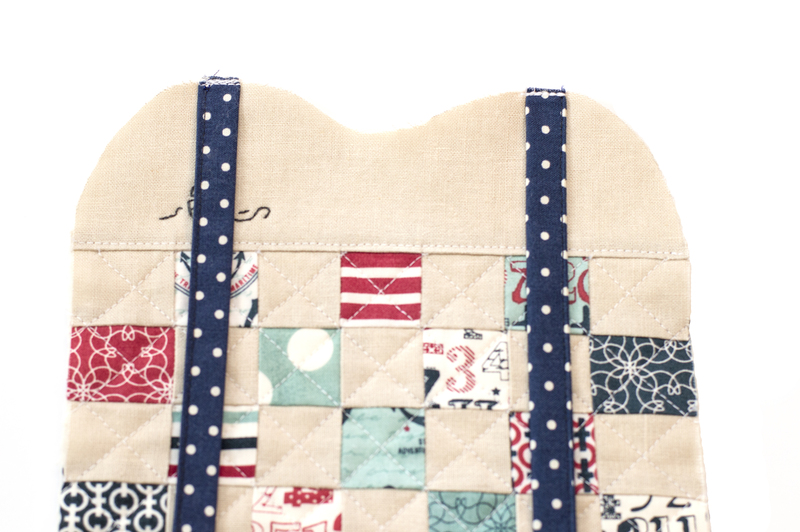 It has so many cute blocks in it, it’s hard to sit down and sew just one. 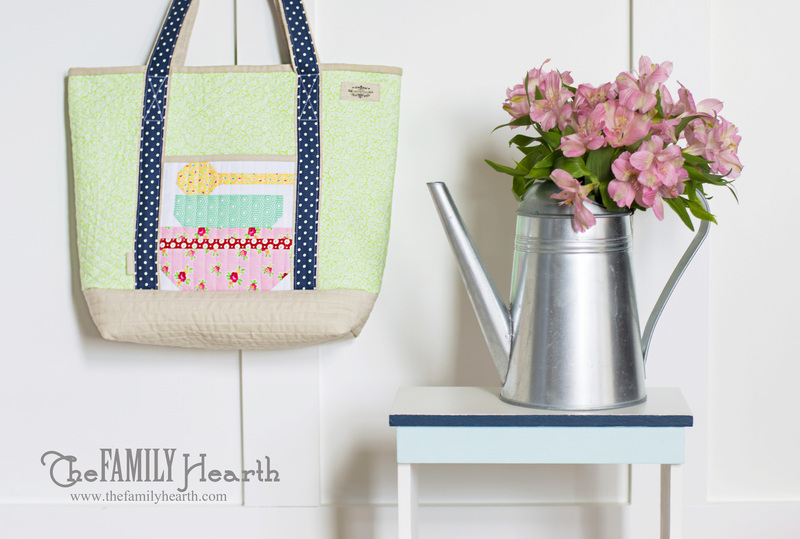 If you are on Instagram you may have already seen the #farmgirlfridays sew-a-long happening. 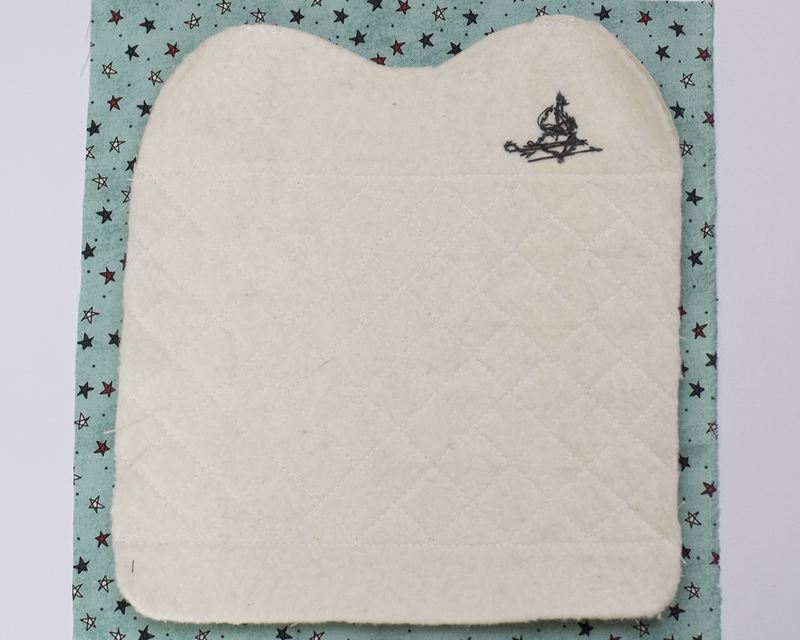 One of this past week’s blocks to sew was the Baking Day Block. 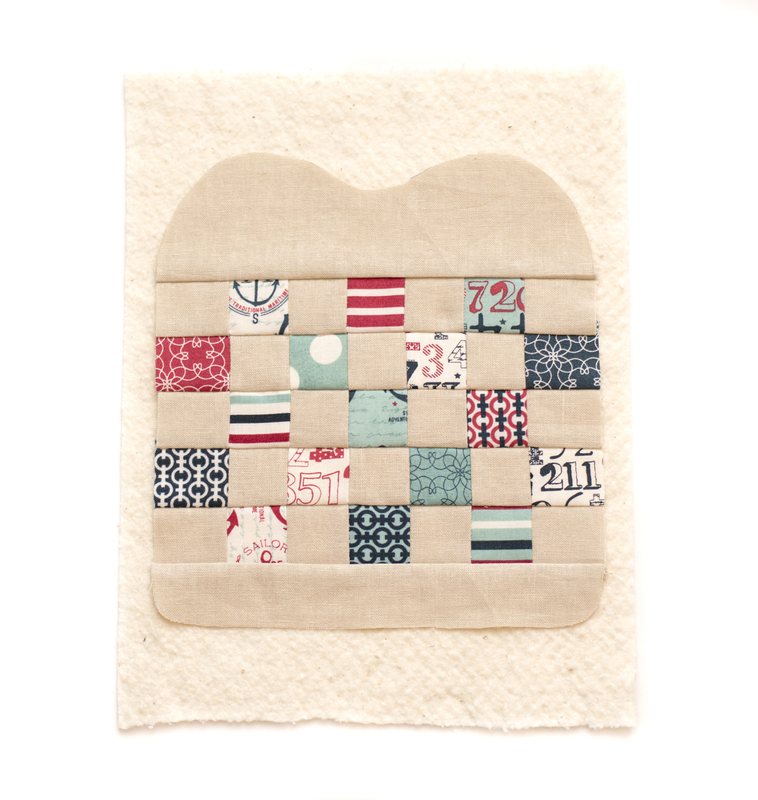 How cute is this block? I decided the block would make a darling little pocket for the side of a market bag. I made the pattern up as I went, making it work around the size of the block. 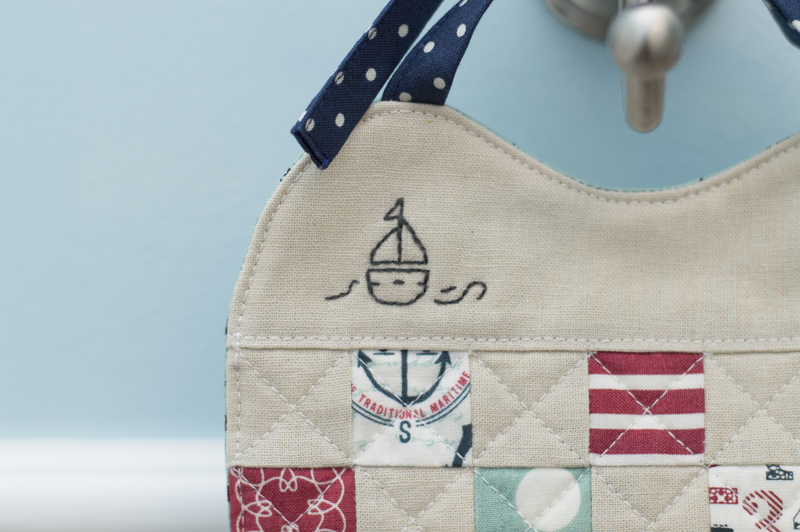 I quilted each area of the bag and tried to keep it simple and sweet with only the one pocket. The bag is a gift for my mother. She is so good about using reusable bags when she shops and we plan on hitting up a local market together this weekend. 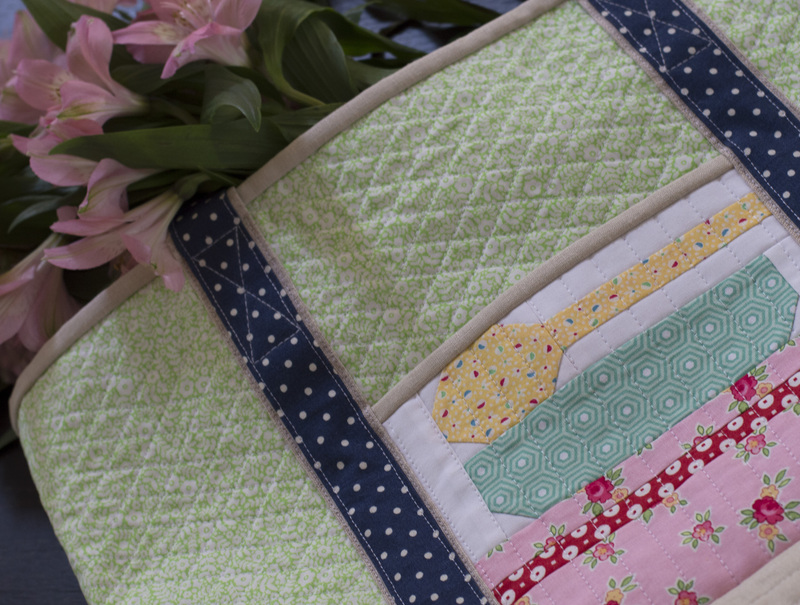 A while back I shared with you the patchwork bibs I had made for Madeleine. I really, really love these bibs. They wash up great, are made to last and are really quick and easy to make. I was in need of a couple of smaller ones for Finian so decided to write up a tutorial for you this time around. 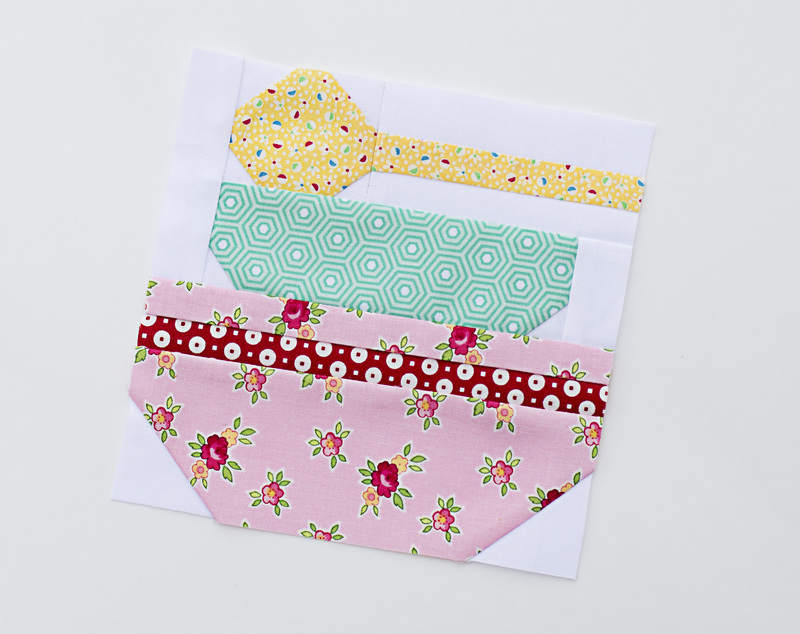 On all of the bibs I have made I have used linen and cotton scraps. I love the clean look the linen gives and the way it helps the scrap pieces stick out, but even better it washes up amazingly! 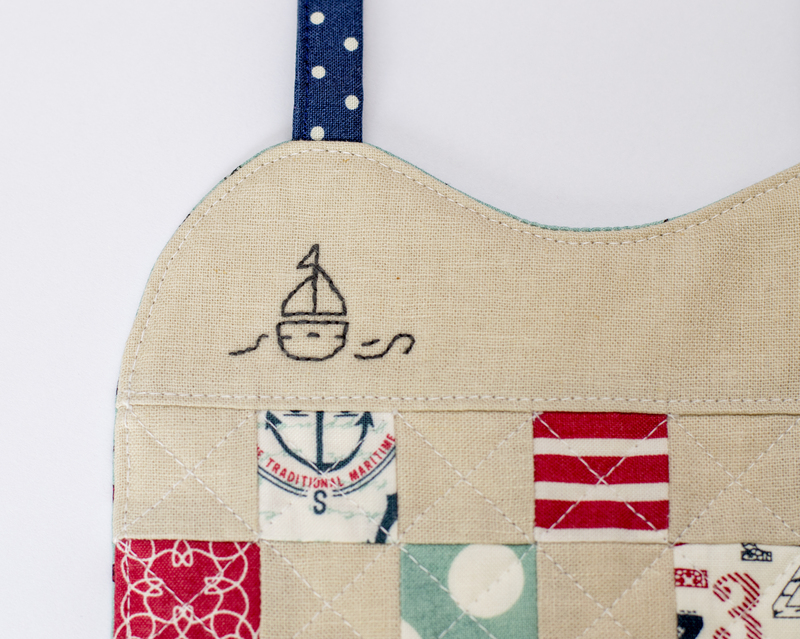 For Finian’s bib, I decided to use all pieces cut from Sweetwater’s collection The Boat House. Here is the tutorial. Enjoy! 1. 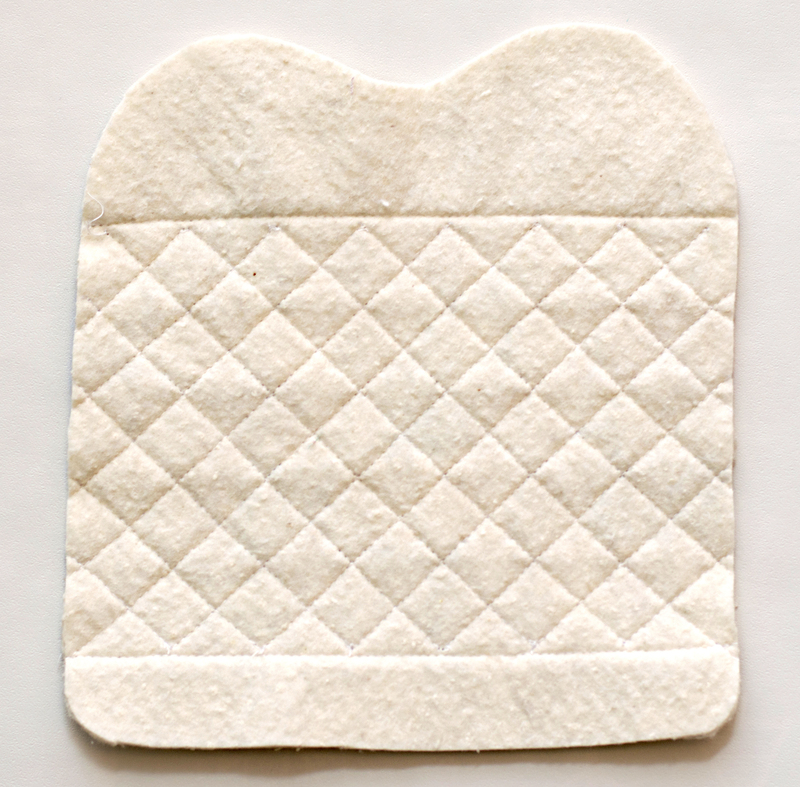 Using the bib pattern, cut the bib top and bottom out of your 6″x 8″ piece of solid fabric. 2. 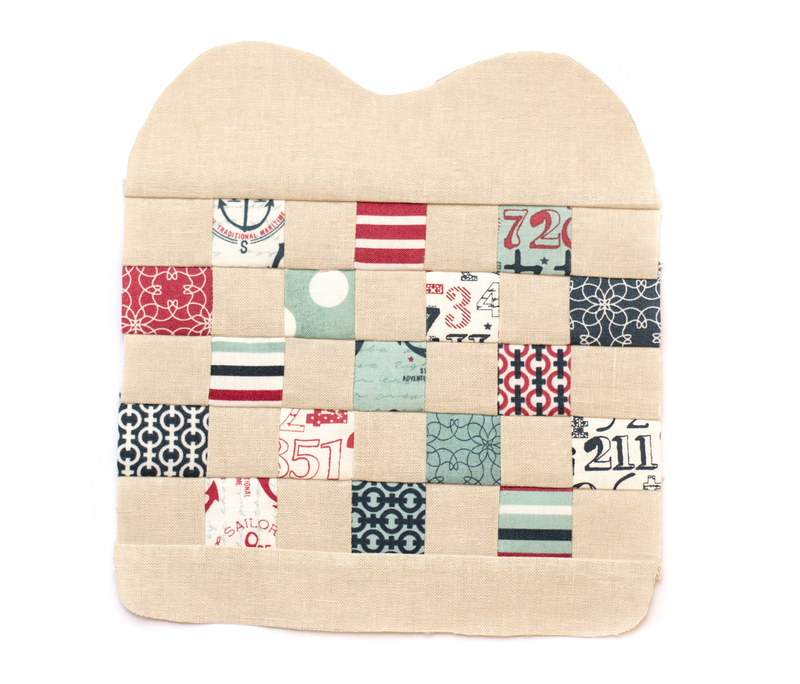 Lay out your squares as you would like them to be in your bib. 5 rows of 7 squares, as seen below. 3. 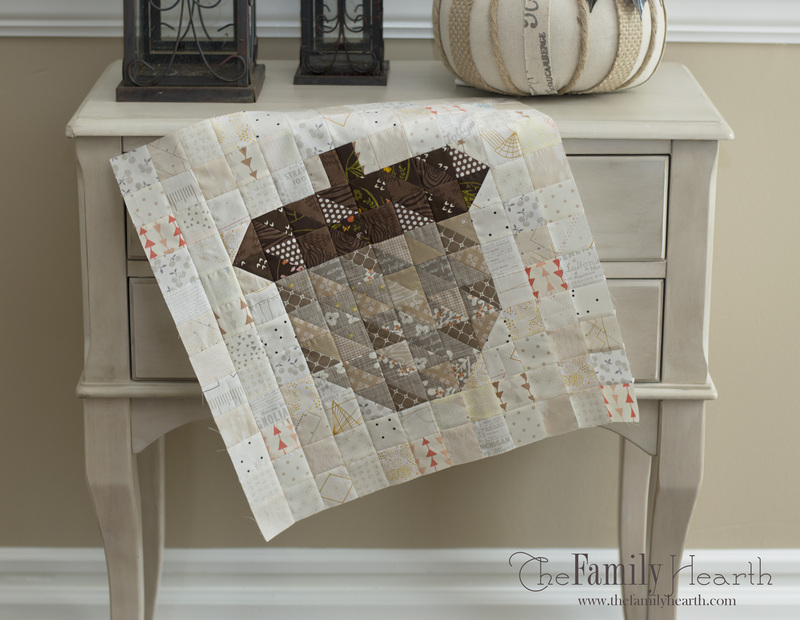 Sew each row of squares together and then sew your rows together. 4. 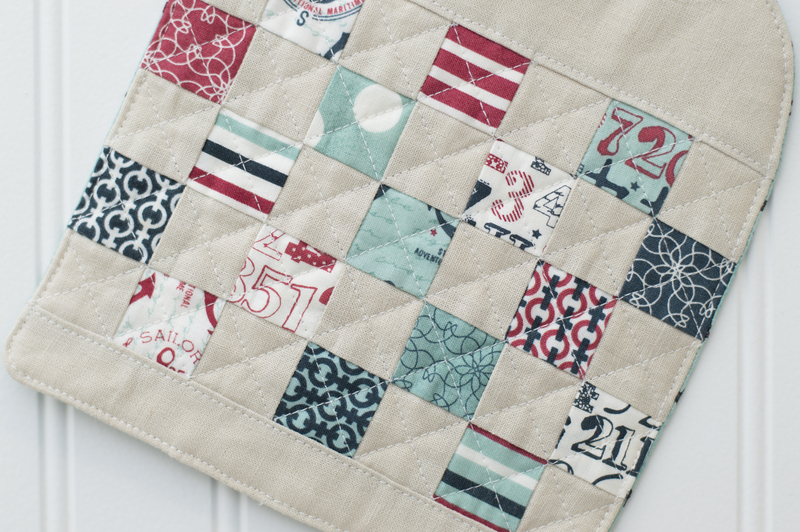 Sew the top and bottom bib piece to your patchwork square. On one edge of both strips, press 1/4″ towards inside. Fold your strips in half wrong sides together and press. Open up and fold each outer edge to the middle. Press. Fold along center line again and press. Sew along top and outer edge. 7. Sew your ties to top of bib sewing along top edge of ties and making sure to back stitch a couple of times to hold it securely. 9. Pin and sew around bib, leaving a small opening on bottom of bib. 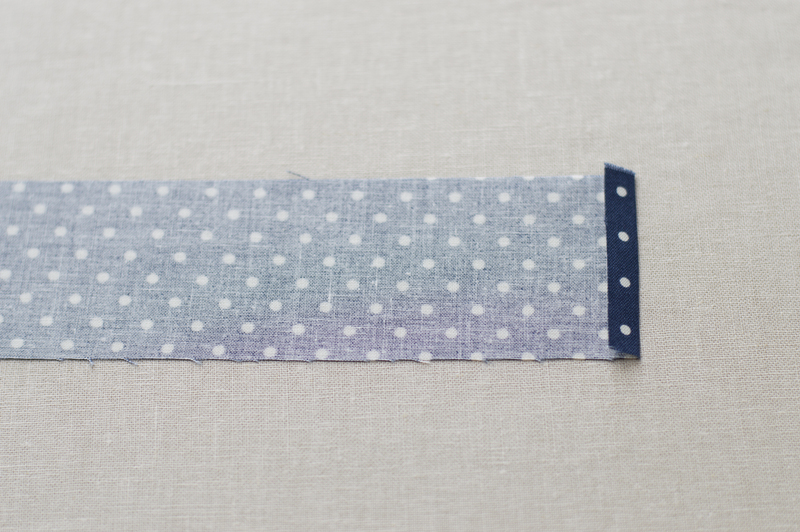 Cut excess backing fabric off and turn inside out. Press. 10. 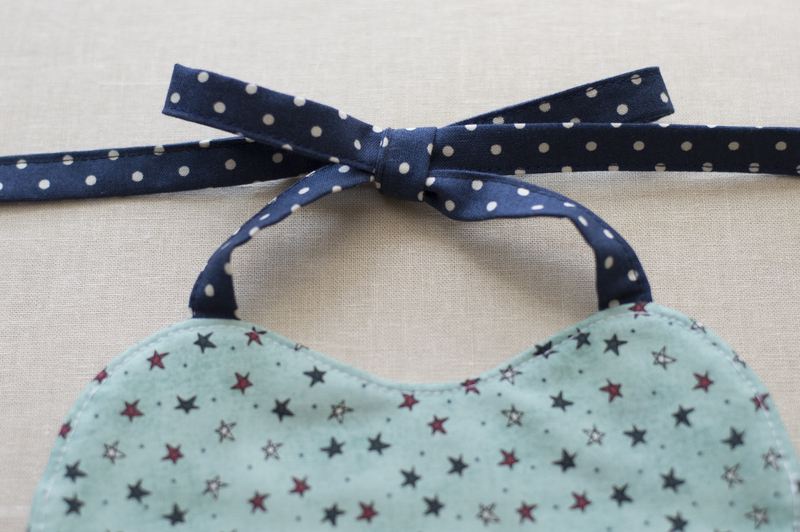 Finish bib by sewing very close around the outer edge of entire bib. If you have any questions on any of the steps, feel free to let me know! I am more than happy to answer any questions. 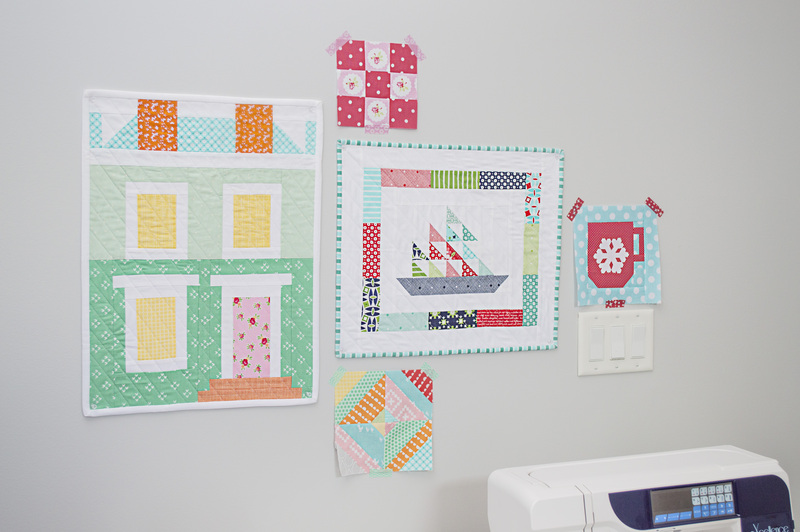 If you are on Instagram, share your picture with the hashtag #fhpatchworkbib. I would love to see what you make! 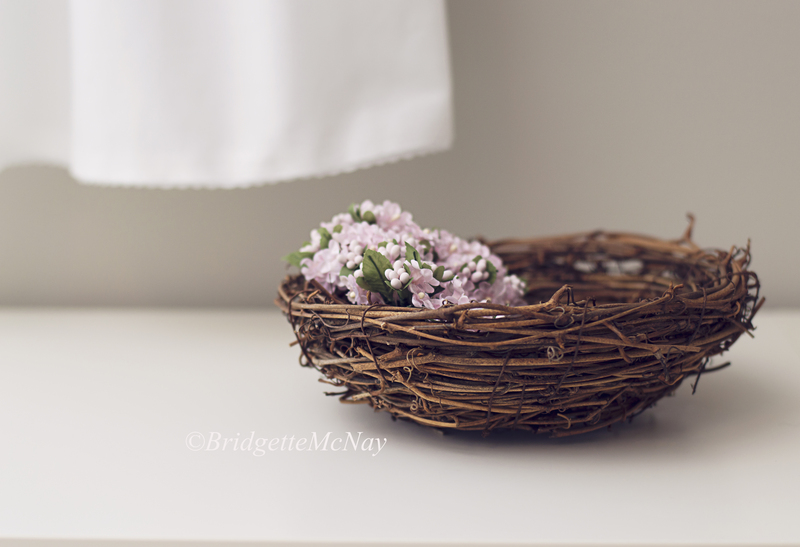 I’ve spent the day making a few last minute details and preparing for the children’s Easter /spring pictures, which hopefully will happen tomorrow. Of course, you can never be quite sure with children or the weather though. My final to-do was to put the finishing touches on Madeleine’s dress. The pattern is my own, and I added lace sleeves cut from a scarf I had brought back from India a few years ago. 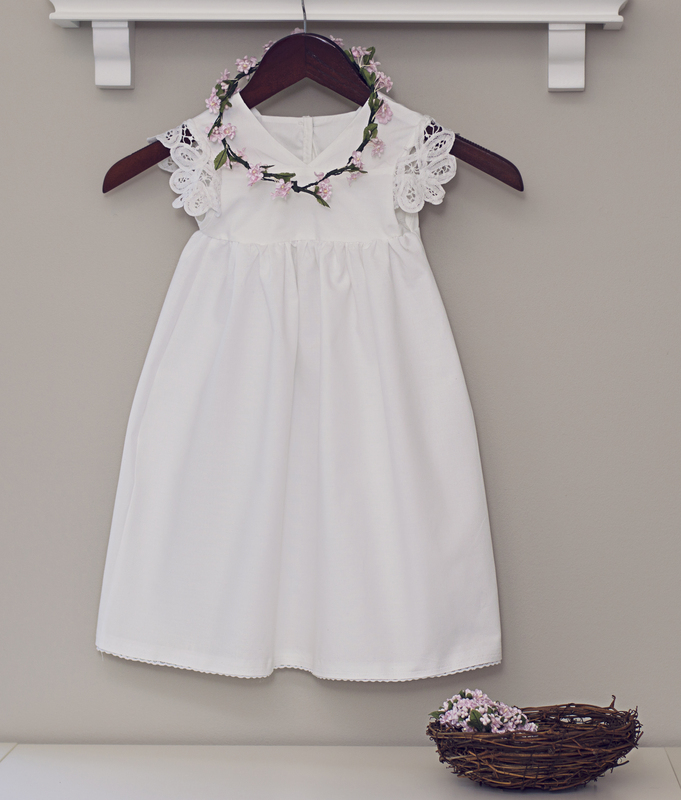 It’s the perfect dress for a lovely spring day. The sun is starting to rise earlier and earlier, the days are warming up, the flowers are blooming, the birds are singing and it’s finally starting to actually feel and smell like spring here. We decided to get away for a few days and spent a long weekend in Chicago. What a beautiful city! The bakeries and cafes on every corner, the shopping, the parks and of course, the amazing Navy Pier. I could definitely live in Chicago. We gladly welcomed the first day of spring here! One of my goals this year is to sew more of Madeleine’s dresses, and with the new season comes the need for new clothes. 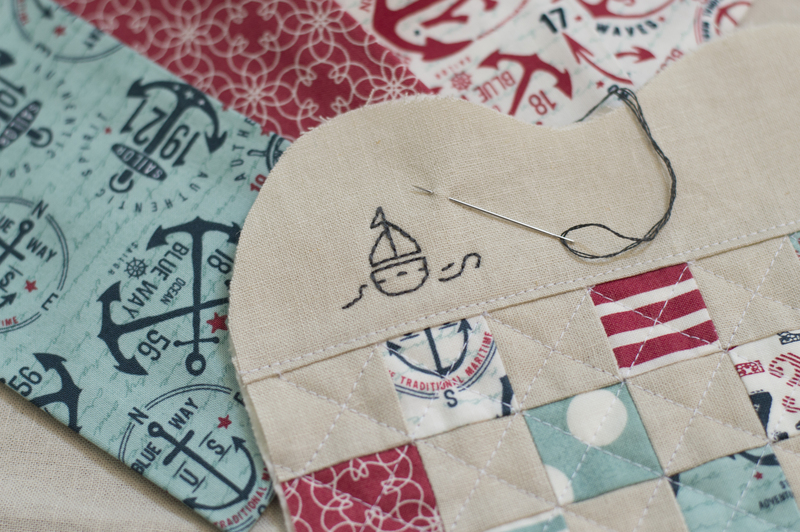 One of my favorite lines out right now is Bonnie and Camille’s Daysail fabric. It just has “spring” written all over it… I have a very sneaky feeling that this fabric is going to make its way in to more than one of Madeleine’s outfits. As much as I love this fabric, I love the pinwheels made out of it. 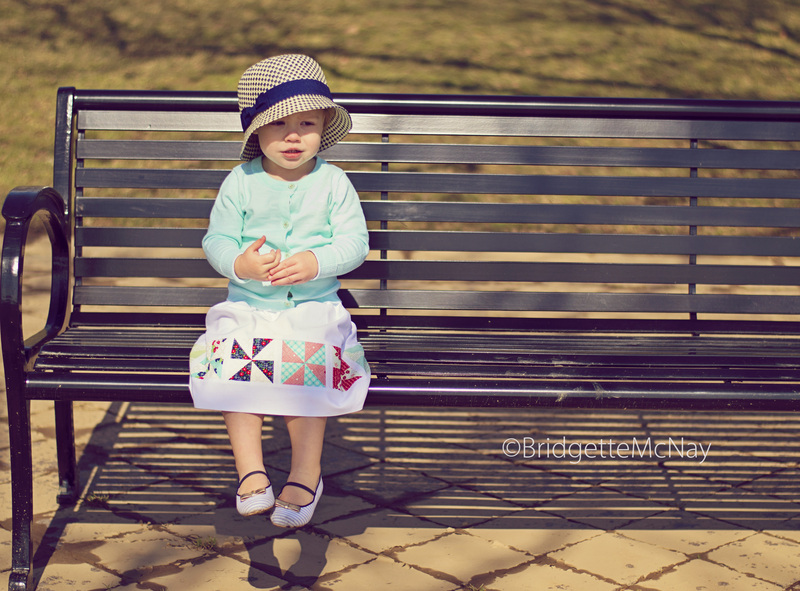 I wanted to incorporate them into one of Madeleine’s outfits and decided to go with a simple white skirt. (Although I think it would have made a lovely jumper as well. Maybe a second pinwheel outfit?) I used Lori Holt’s pinwheel block tutorial found here. 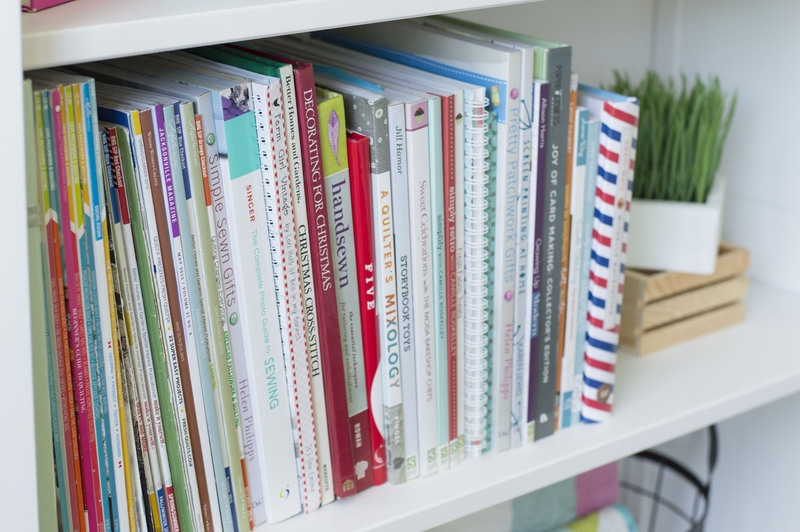 It’s super easy to follow, besides the fact that her Bee in My Bonnet blog is super awesome! 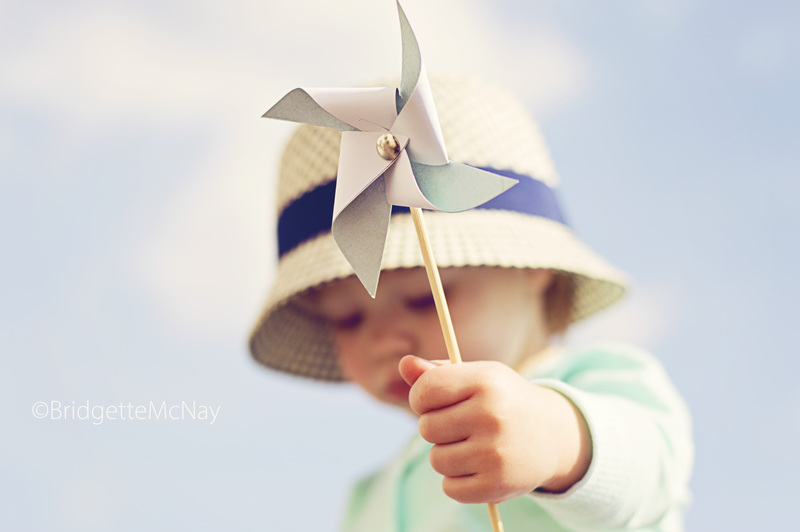 I couldn’t make a pinwheel skirt without making a few real ones, of course. 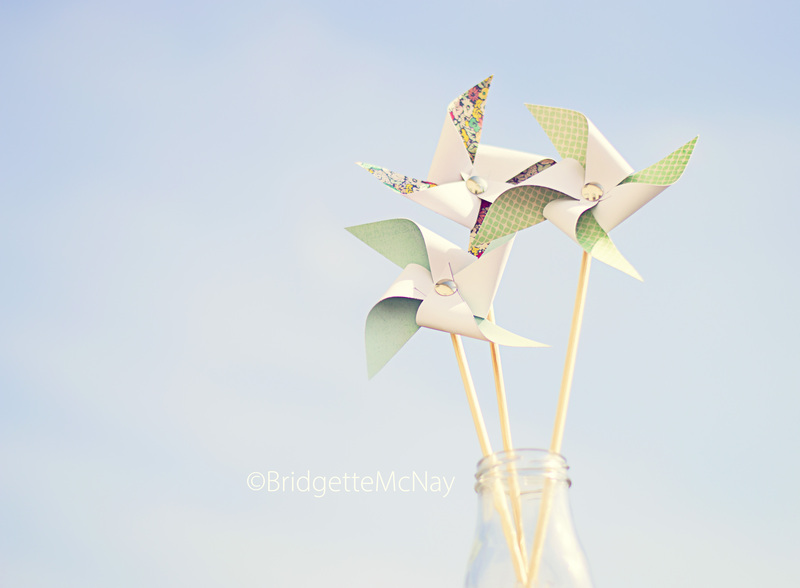 Although the pinwheels didn’t spin in the wind quite like they should have, the kids and I had a lot of fun making them. Hopefully, next time we can figure out how to make them spin better! 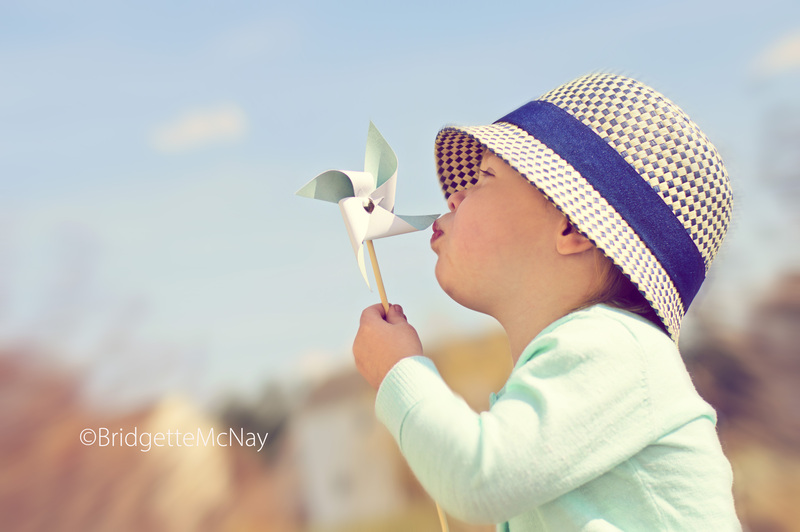 I hope you are enjoying your first few days of spring!